Tax issues are implicated in almost every type of business transaction or legal dispute. From estate planning and business transactions to divorce cases and structuring settlements resolving lawsuits, understanding and addressing tax issues can help maximize client outcomes. Business formation and business and real estate transactions can all involve complex tax issues. Racine’s tax attorneys, with advanced degrees in tax law and years of experience advising clients on tax matters, approach tax issues with common sense. We are aware that tax considerations must be balanced with other factors to successfully address clients’ unique needs. Our attorneys believe in a team approach, working together with the client and their other trusted advisors (like accountants and financial planners) to accomplish client goals. Properly structuring business entities or the purchase and sale of businesses can minimize negative tax consequences and positively affect the bottom line. 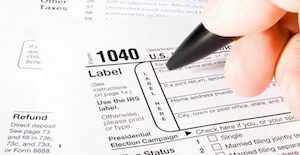 Though the current level of the federal estate tax exclusion amount means that many clients will not need to worry about estate tax issues in their estate planning, there are important income tax issues to consider when planning one’s estate, including preparing an estate plan that reduces the income tax burden on surviving loved ones. Clients with larger estates may be more concerned about potential estate tax issues and our tax attorneys can help plan for these issues and aid clients in reducing or entirely avoiding estate tax liability. Parties may also have questions regarding the advisability and affect of gifts made during life and related tax issues. Tax laws and strategies are included in the myriad issues parties should consider when pursuing, defending, or resolving a lawsuit. The tax consequences of a lawsuit can be affected by the arguments made and positions taken in the course of litigation. Additionally, the structure of a settlement resolving litigation can dramatically influence parties’ tax consequences. Our tax team is available to help Racine Olson’s litigation attorneys as needed. Divorce gives rise to unique tax issues. Tax considerations in divorce cases may include how to properly deal with retirement accounts, how to file tax returns, whether to claim innocent spouse relief from the Internal Revenue Service, working out past-due tax liabilities, and taking the appropriate steps to provide that the correct party is able to take dependency exemptions. Failing to adequately address these issues can result in problems years later. Receiving notice from the Internal Revenue Service of an unforeseen tax liability can be devastating. Racine Olson tax attorneys have extensive experience working with clients to resolve tax disputes with the Internal Revenue Service and Idaho State Tax Commission. We have successfully helped clients facing audits, tax assessments, liens, levies, trust fund penalties, and audits, representing both individuals and businesses facing difficult tax circumstances. Our attorneys are experienced in negotiating installment plans and in making offers in compromise. 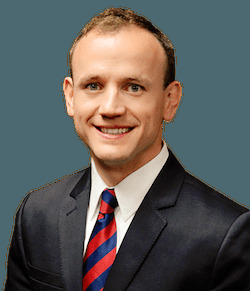 In addition to law degrees, tax attorneys Nathan Palmer and Dave Bagley both have Master of Laws degrees in taxation from the University of Florida, perennially one of the top three graduate tax programs in the United States. 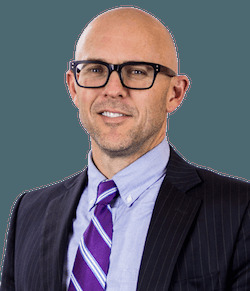 Nate and Dave are both able to represent clients in front of the United States Tax Court and Federal District Court.